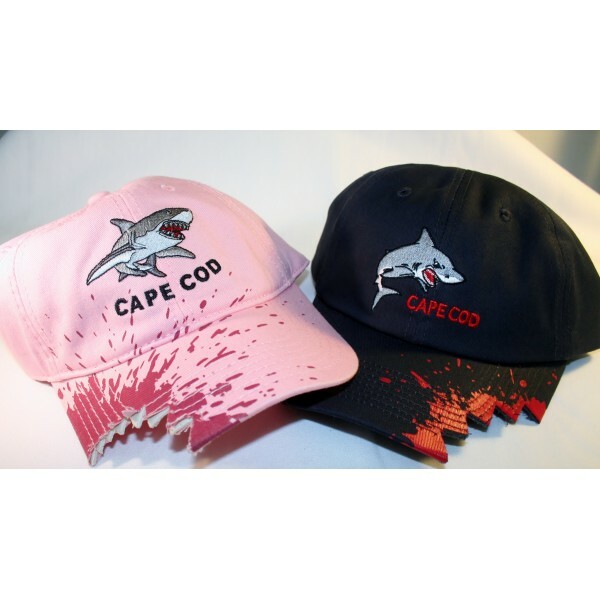 Baseball hats that have a shark bite taken out. Choose from pink or navy. Adjustable velcro strap.